[+3] - Setanta - 11/19/2012You didn't get a response you liked when you started the other thread, so you thought y ou'd start over? Have the blue helmets come for your guns yet, Bubba? [+3] - parados - 11/19/2012I think there was a typo in that Press release Spurt. I think they meant Bellevue Hospital not Bellevue, Wa. You didn't get a response you liked when you started the other thread, so you thought y ou'd start over? Have the blue helmets come for your guns yet, Bubba? I think there was a typo in that Press release Spurt. I think they meant Bellevue Hospital not Bellevue, Wa. The NRA is more powerful than the UN. The treaty will never become law in the US. You didn't get a response you liked when you started the other thread, so you thought y ou'd start over? There's another new thread on this? Or are you referring to one of the two old ones? The NRA is more powerful than the UN but I notice no one is worried about armed NRA members taking over the country. The things some people worry about is sometimes amazing. I'm sure there will be a few extremists senators who will vote for the treaty if it were brought before the Senate, but most of them will be falling all over themselves to register a vote against it. There should be at least 80 votes against the treaty, but I'm hoping for 90 votes against it. The NRA has already made clear their severe opposition to this treaty, so everyone knows that if they vote for it, they will be picking a fight with the NRA. Why do you think the NRA would want to take over the country? Isn't the rule of Obama as wonderful as you expected it would be? Why do you think the UN would want to take over the country? Is Obama not the dictator you think he is? violence has dropped significantly during the same time period. Liberals should agree that more guns really does equal less crime. Gun violence has dropped since 2007? Really? What is your source? Can we blame it on Obama? By the way Spurt... You do realize that violent crime doesn't always involve a gun, don't you? So if you are using FBI violent crime stats, you are making a false conclusion. The FBI violent crime stats are interesting. Under Clinton violent crime dropped 35% in 8 years. Under Bush it dropped 2% over 8 years. Under Obama it has dropped 16% in 3 years. 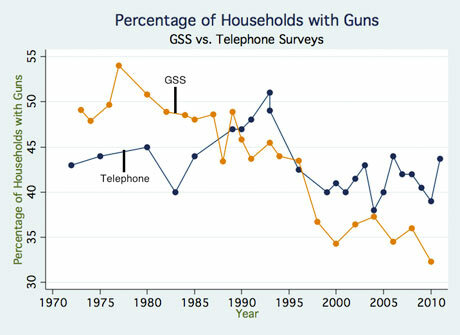 Over that same time period we see a decrease in the number of households with guns. If we want to correlate gun ownership and violent crime then I guess we could make the argument that if fewer people have more of the guns then the crime rate would drop even more. If one person had all the guns in the US then the crime rate would drop even more. From 1992 to 2000 Gun ownership went from 50% to 41% and violent crime dropped by 35%. From 2008 to 2011 gun ownership went from 44% to 41% and violent crime dropped by 16%. There certainly seems to be a correlation between gun ownership and violent crime. Also interesting is the increase in murders from 2000-2002 and 2005-2007 that occur in the same time frames that gun ownership increases. Poverty causes crime. Democratic social programs reduce poverty. And what major changes were made in social programs to reduce poverty in the last 20 years? Never really thought about it. No idea.